The drive up from Mopani camp past Mooiplaas is always interesting. I did sections of it twice in both directions to be able to complete the various loops off the main road. The drive is through country described as Northern Low Rolling Hills to the west and Northern Plains to the right or east. 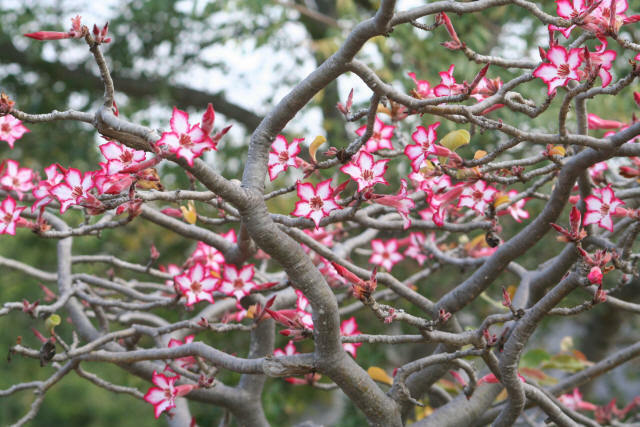 You will always see Elephants, and a variety of other wildlife along this drive. The drive is on tarred road and around waypoint 132 the scenery changes remarkably as the Shingwedzi River comes close to the road. Waypoint 127 ... 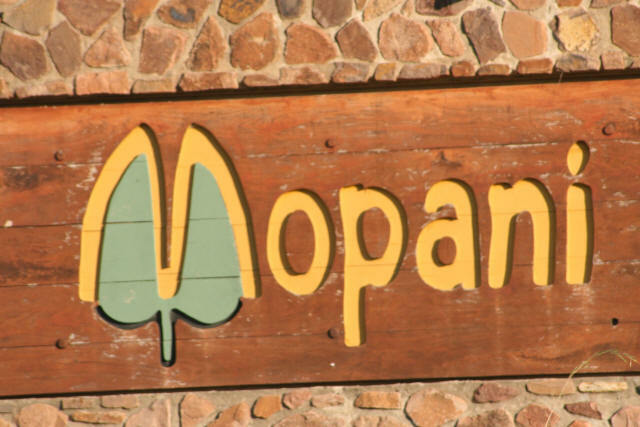 The Mopani Rest Camp. The camp was built in 1992 and is very modern in comparison with other Kruger camps. 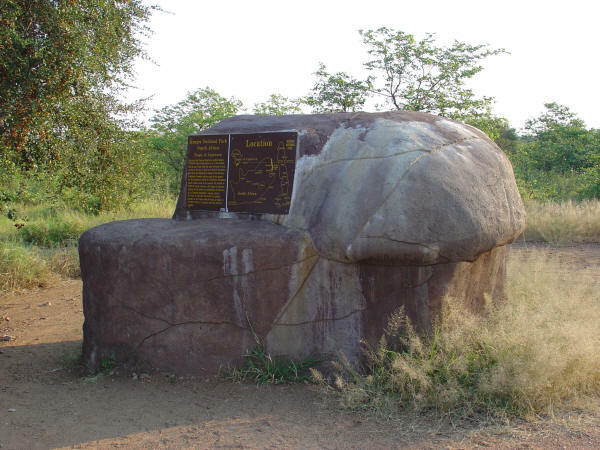 It is situated on the north bank of the Pioneer Dam on the Tsendze River. The Tsendze River joins the Letaba River south east of Mopani. On the turn off to the camp from the main road there is a small water hole on both sides of the road where you can see Terrapins ... I even saw one crossing the road. 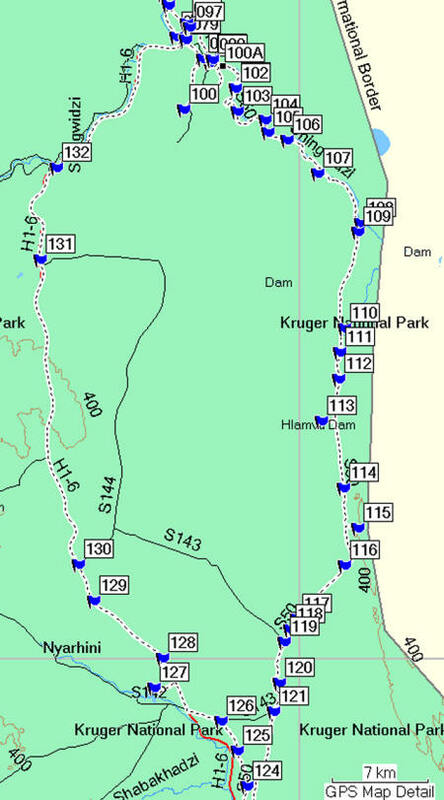 Waypoint 128 ... Just past the turn off to the Mooiplaas Ranger post. Beautiful hill and 2 windmills turning slowly in the breeze. Bowkers Kop is the name of the hill. Bowkerkop is a basalt hill with lovely trees growing all over it. 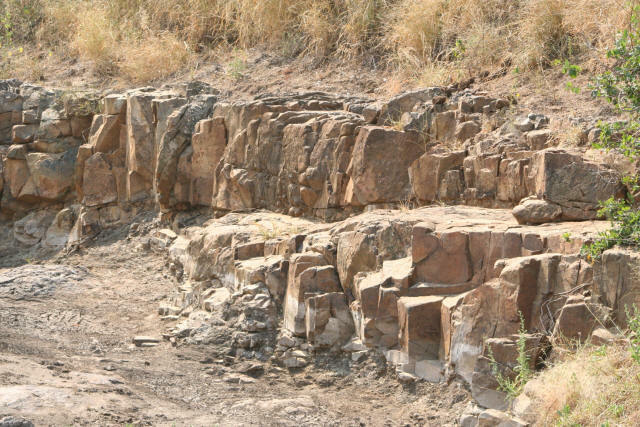 Basalt is a dark, heavy, iron-rich and silica-poor volcanic rock responsible for the largest part of the world's oceanic crust. It is fine-grained which means individual minerals can't be seen. Minerals within Basalt include pyroxene silicates, plagioclase feldspar (sodium and aluminium silicate) and olivine (magnesium iron silicate). These minerals are visible in the coarse-grained version of basalt called Gabbro. The name Bowker refers to members of the Bowker family that used to hunt with friends in this area around 1888. On the hill is a Baobab tree and I believe Miles Robert Bowker has carved his name on this Baobab tree. There was an eagle perched in a tree close by. Waypoint 129 ... Two large fluffy nests surrounded by filamentous webs. Notice the Armoured Ground Cricket on the branch close to the nest. A potential victim I wonder? It is probable that they are Community Spiders. 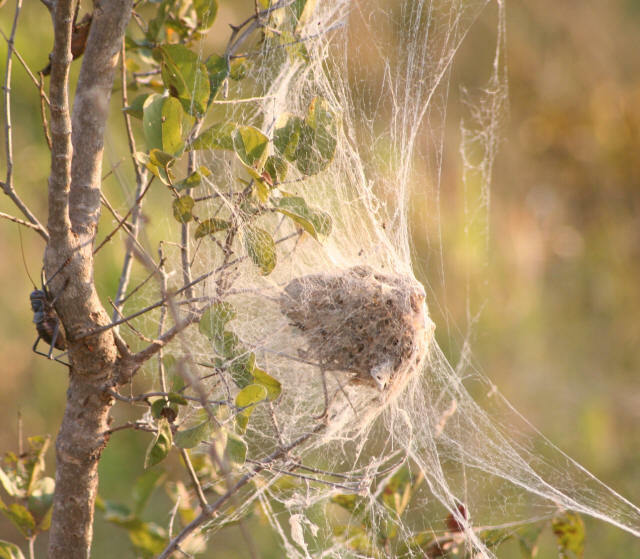 These spiders live in large colonies and share the benefits of such a lifestyle. Such communities live together for the synergistic benefits ... more food easier to capture and a possibility to catch larger prey. There is also more protection. Waypoint 130 ... Tropic of Capricorn monument where you can get out of the vehicle at your own risk. 23 degrees 26 minutes 18 seconds south of the equator. At noon around 21st December sun hits this point vertically and it marks the official start of summer in the southern hemisphere. Shortly after getting back onto the main road leading to Shingwedzi I came across a family of Giraffes and shortly after that a family of Water Buck crossed the road in front of me. Waypoint 131 ... Footprints in the sand. 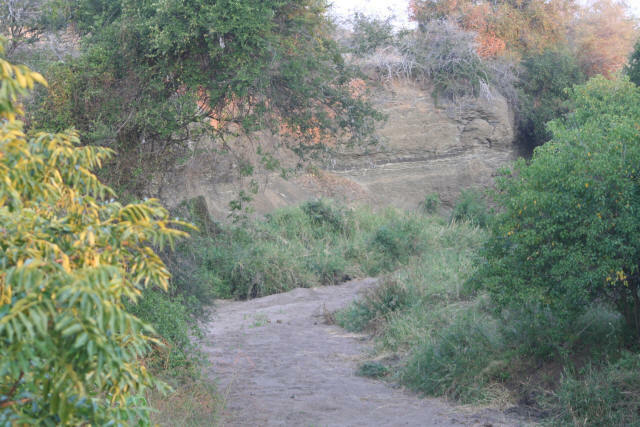 Take a look at this image showing a small sandy beach close to a small amount of water in a small flowing stream bed. You can see that this is a popular drinking spot. It's just after the S144 turn off. Lots of woodlands on this section of the road especially on the western side. Waypoint 132 ... I don't agree with hunting but I don't deny that many of the hunters of the 19th century were probably very brave people. 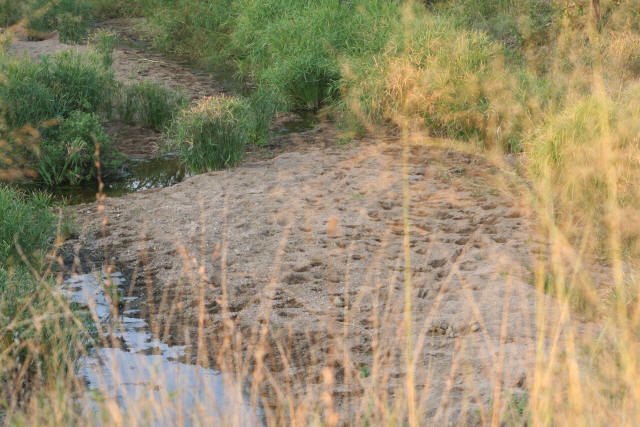 Just imagine them walking along dry river beds like this one shown in the photo. Surely they would also have been somewhat hesitant as they approached the cliff in front with the river bed doing a sharp right turn. Even sitting in my car on the bridge crossing this dry Nkodozi River bed I said to myself: "I wonder what's around that corner?" It could be anything in this part of the world. I was getting close to Shingwedzi by now and the sun was sinking below the trees on my left making for splendid lighting and colours. As I approached the H1-6 bridge crossing the Shingwedzi I was too late for the setting sun but this picture marked the coming to an end of just one more fantastic day in Africa. The drive today had been a long and mostly uneventful one as measured by an average day in the Kruger almost anywhere. Yet there was no regret only pleasure at having been able to take the time and had the good fortune to just be able to do IT. And tomorrow would be another special day in paradise, south of the equator in this land where mankind was born.